The last decade of the twentieth century alone spawned three operas based on the life of the �principe dei musici�: Alfred Schnittke�s Gesualdo was premiered in 1995 at the Vienna State Opera; then the following year came Franz Hummel�s opera of the same name, a commission from the city of Kaiserslautern; and in 1998 Salvatore Sciarrino wrote an opera for the Schwetzingen Festival entitled Luci mie traditrici, after a sixteenth-century drama about a prince who murders his wife. 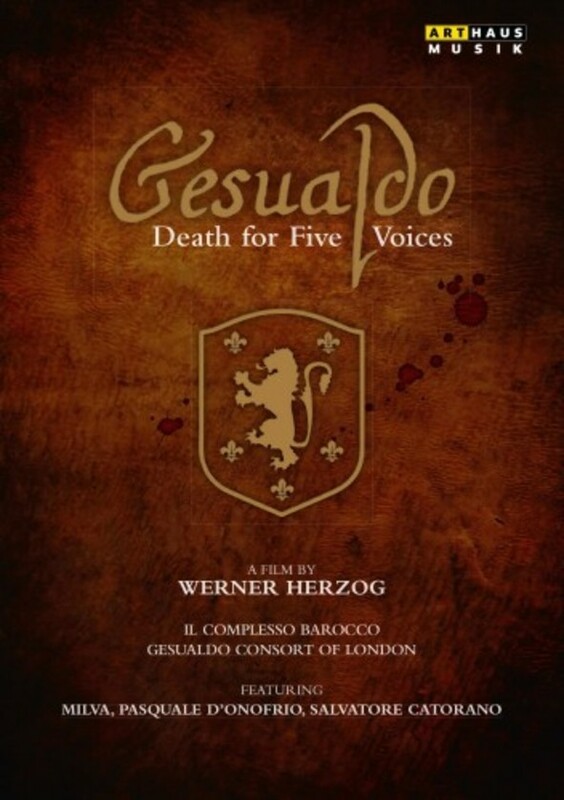 Gesualdo was therefore already the focus of a good deal of interest when the Munich-based director and film producer Werner Herzog also developed an interest in the composer at about this time. Herzog seemed somehow predestined for the job. His preference for eccentric protagonists, amply attested to in films such as Aguirre, Wrath of God and Fitzcarraldo starring Klaus Kinski, went hand-in-hand with a musical streak that has won him a great deal of admiration since the mid-1980s, with regular opera productions at the Bayreuth Festival, the Opera Bastille in Paris and La Scala, Milan.